You can also book the trip as Saturday - Saturday, starting March 19. From Phillipe Cousteau to David Doubliet, just about every diver who has experienced its reefs has stated that Little Cayman is one of the world’s premier dive destinations – with pristine reefs, excellent visibility and incredible diving. The Cayman Islands have strict Marine Conservation Laws and many the dive sites are within protected Marine Park Zones, including the legendary Bloody Bay Wall – Little Cayman’s most famous dive attraction. Coral canyons and sand chutes lead you through the pristine deep blue waters of the outer reef before plunging to 6000ft (1800m). These exhilarating walls are covered with brightly hued sponges, corals and sea fans. The 80° F (26.6°C) water is second to none when it comes to clarity and it is said that more underwater photographs are taken in the Cayman Islands than in all other Caribbean destinations. 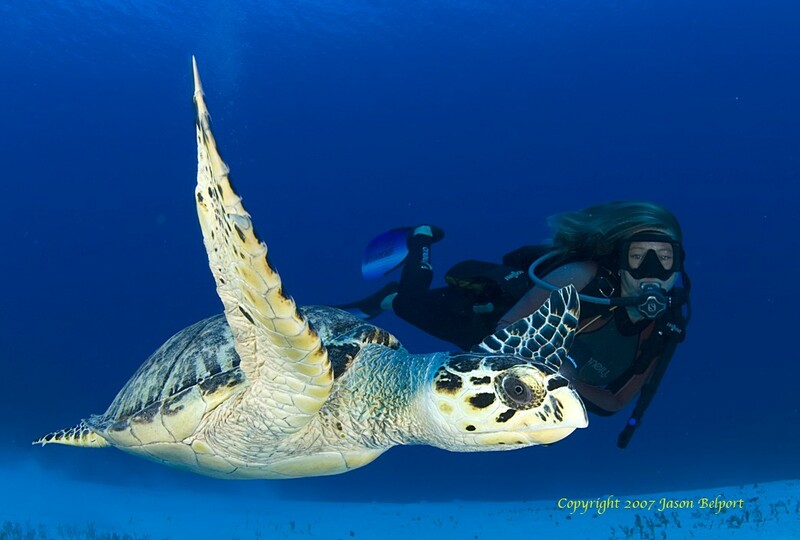 The Caymans’ trademark turtles are a common sight and eagle rays, angelfish, reef sharks and grouper count among the 500 species of fish that have been documented here. Don't book air travel without first confirming details with the trip leader. 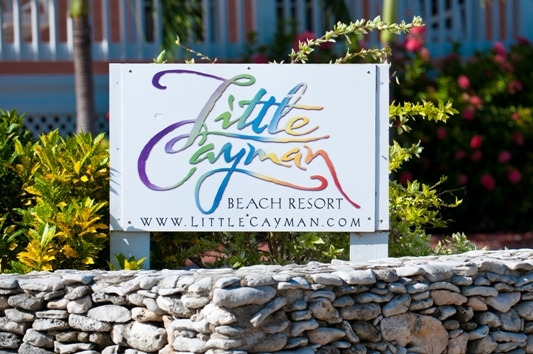 Book your tickets directly to Little Cayman (LYB) on Cayman Airways, or call the helpful staff at Reef FantaSeas at 1-800-327-3835 1-800-327-3835 FREE to book flights using United, American, Delta, US Airways and other carriers to Grand Cayman with connecting flights to Little Cayman all on one ticket for a small service fee. They can also arrange extra nights or layovers on Grand Cayman. You can book separate tickets online to Grand Cayman, and then on Cayman Airways from Grand Cayman to Little Cayman; be aware, however, that if you book separate tickets one airline is not obligated to help you if the other is delayed and you miss a connection. It is sometimes better to book both flights on the same electronic ticket.